Singapore – Park Hotel Group, one of the most established hospitality groups in Asia Pacific, and owner of the Grand Park and Park Hotel brands across 6 cities in the region, has partnered with Singapore-based creative agency, noisycrayons to launch “#maketime and stay park”. The socially-driven campaign aims to engage busy Singaporean families and encourage them to make time for their loved ones by bringing them on a staycation this June. Conceptualised by noisycrayons, an affiliate agency of SPH Magazines, the campaign kicked off with a series of teasers that assumed the voice of a family member questioning if another member has time for him. In response, a second tranche of creatives had family members pledge time for each other. The teasers were deployed over a period of three weeks in May, via the hotel group’s Facebook and Instagram pages, reaching out to more than 70,000 Singaporean families and attracting more than 1,500 interactions from the families. The second part of the #maketime campaign communicates that Park Hotel Group, with her three hotel properties in Singapore, can help families make time with a special staycation package. Families are activated online to place bookings for the staycation package on digital and mobile channels including Facebook. On a custom-built application, families decide to make time by turning an hourglass to uncover thoughtful perks such as complimentary room upgrades, in-room dinners, wines and even the services of personal shoppers and trainers. More than S$1,200,000 worth of perks will be offered to enhance the experience of families who book for a staycation between June and July. With the campaign, the hospitality group plans to look at social media as a natural platform to build meaningful relationships with families who want to make time and do things together with their loved ones, amid a hectic lifestyle. “The campaign allows us to develop deeper relationships with our consumers. In working with noisycrayons, we are able to communicate a genuine intention to help the audience meet an ongoing need, and present purposeful solutions.”- Gwen Tan, Assistant Director of Social, Park Hotel Group. “At noisycrayons, the team spent a lot of time to dissect the needs of the typical Singapore family who seeks to create memorable, meaningful moments for their loved ones during weekends.To us, a staycation is more than a hospitable experience in a hotel. It is also about family bonding, and the strengthening of relationships that results from the time spent together. We are extremely gratified that we can create a campaign that leverages on the client’s steadfast desire to deliver meaningful experiences that foster strong relationships and outcomes for the family. “- Stefan Lim, CEO and Creative Lead, noisycrayons. The initiative is expected to reach more than 200,000 Singapore families. 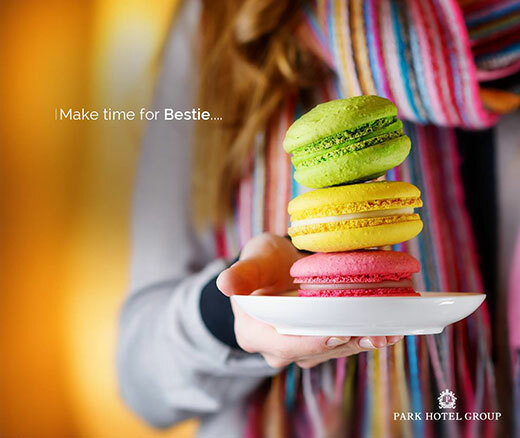 Make time and discover love with Park Hotel Group at Staycate.sg!